As a result of all these active ingredients, Rosehip Oil attracts a number of beauty benefits. The high level of essential fatty acids is purported to help the skin hold moisture and reduce dryness. This, in turn, has a positive effect on wrinkles which are a by-product of skin which is lacking in moisture. ATRA is known for its potent ability to reduce the depth of wrinkles, fade fine lines, lighten age spots, and promote over-all healing of damaged skin by boosting the growth rate of new cells and increasing collagen production deep under the skin’s surface. Rose hip seed oil is also rich in skin nourishing essential fatty acids including omega-6 linoleic acid and omega-3 linolenic acid which help to improve the elasticity, texture, and appearance of skin. .
Rose hip oil, on the other hand, is composed of long chain fatty molecules that are both saturated and unsaturated. By using a cold-press extraction process, the oil is separated from the hips and seeds. For facial skin care, rosehip oil offers several benefits when applied externally. It protects the skin and increases cell turnover because it contains vitamin E, vitamin C, vitamin D and B-carotene, a form of vitamin A, and which are all antioxidants that help fight free radicals. It also contains other substances such as transretinoic acid, tannins, flavonoids, vitamin C and β- carotene . Rosehip oil has signficant anti-aging benefits for your face. Super light and non-greasy, the anti-aging benefit comes from its high antioxidants and the oil’s ability to penetrate into deeper layers of the skin. The vitamin C and vitamin A, in particular, stimulate collagen production. Because vitamin A has small molecules, it allows deeper penetration into the skin and improves the skin’s moisture levels — thus reducing wrinkles and fine lines. 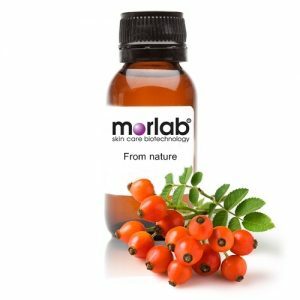 For those who are seeking to avoid chemicals and Botox, rosehip oil may be perfect because of its skin rejuvenating properties of vitamin C and lycopene. This makes it a safer solution to repair the skin’s surface and restore elasticity. The UV rays of the sun can damage the skin, resulting in age spots and discoloration on the face. The antioxidants found in rosehip oil combat free radicals that cause sun damage. The vitamin A, combined with the oil’s essential fatty acids, can help improve skin tone, texture and pigmentation. While too much sun exposure can decrease collagen, vitamin C can help counteract this damage. The oil is deeply moisturizing and aids in removing redness and irritation. 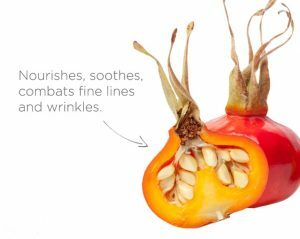 These properties also make rosehip oil a possible treatment for rosacea. The essential fatty acids found in rosehip oil can help get rid of scars and reduce the effects of eczema by promoting skin regeneration. Essential fatty acids are emollients, which improve the skin’s flexibility and permeability and help the skin repair itself. The vitamin A can play a role here as well since it has the ability to improve skin texture and tone. Also, these essential fatty acids aid in reducing dry scalp and itchiness that are often caused by chemicals in most store-bought shampoos. Because rosehip oil is one of the best sources of vitamin C, and since vitamin C helps treat infections and boost the immune system, it makes for a great option to help keep the immune system strong. Besides being an antioxidant, vitamin C is responsible for collagen production in the body, which is an important element in the structure of bones and muscles. Also, vitamin C aids in the proper absorption of iron that produces red blood cells. According the the University of Maryland, rosehip tea is a great option to help reduce inflammation in the body. Anyone suffering from osteoarthritis can benefit by having a cup of rosehip tea on a regular basis. Arthritis Research UK reported a study regarding the effects of rosehip for patients who had osteoarthritis. They found that those who were given rosehips had a positive affect versus those that were not. Ultimately, the rosehip significantly improved hip flexion when compared with the placebo. Significantly more participants in the active treatment group reported a reduction in pain compared with the placebo group. The rosehip group also had a reduction in some disease-related symptoms (like morning stiffness) and a significant decline in painkiller use. Reports have also shown that relief of inflammation be can be found by adding rosehip oil to your bath water. 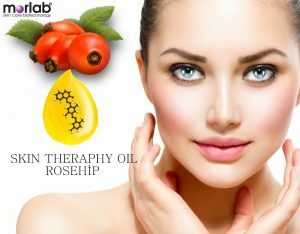 What Are Benefits of Using Rosehip Oil for Face? There are many reasons why manufacturers have gone to all the trouble of extracting oil from the small seeds of the rosehips. The oil made from the seeds has many benefits to the skin, particularly to the face. It’s commonly an ingredient in natural skin care products. Rosehip oil quickly absorbs into the skin, proving needed moisture. Using sparingly, it will leave no more greasiness on the skin than your average skin cream. It can heal scarring that has been caused by acne when a person was younger. It can help reverse the damage of excess sunlight during the summer. It can provide a protective barrier on the skin, which will prevent further moisture loss. It can help to correct any darker patches on the face. It can help heal facial skin that is suffering from skin conditions such as eczema, psoriasis, and dry, itchy skin. It can reduce fine lines and wrinkles. A bottle of rosehip oil is affordable for everyone. Appearance Orange oil with a characteristic mild, pleasant odour.